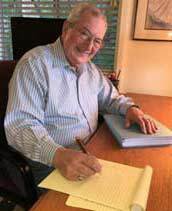 Don Wayne MBA, EA has formed a business relationship with Edward Rusnak, MBA and his team at Private Wealth Financial Partners to offer you access to comprehensive financial planning services which include; retirement, investment, estate planning and business owner planning. When you engage their services, you benefit from financial planning and personal service. They take the time to fully understand you and your needs. They will provide you with the information, advice and alternatives you need to make informed decisions about your financial future. Please visit their website at www.pwfpartners.com or contact Ed directly using the contact information below to learn more about the firm and the services they offer!